7 East 48th Street designed by McKim, Mead & White c. 1912 and 9 East 48th Street designed by Alfred E. Barlow c. 1912 in New York City. No. 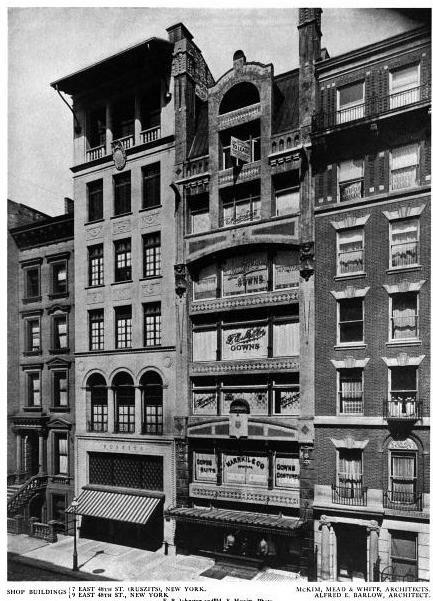 7 was the John Ruszits Fur Company which had previously been located at Broadway and East 11th Street but lost that location in a fire in 1911. 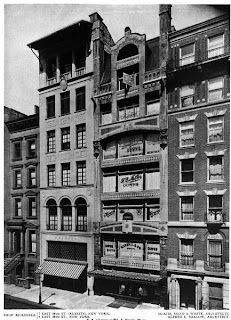 Click HERE for a 1912 NYTimes article on the opening of this group of shops which have all since been demolished. Photo from Architecture, 1912. They, Carerre and Hastings and Delano and Aldrich were the best at creating new york's best.